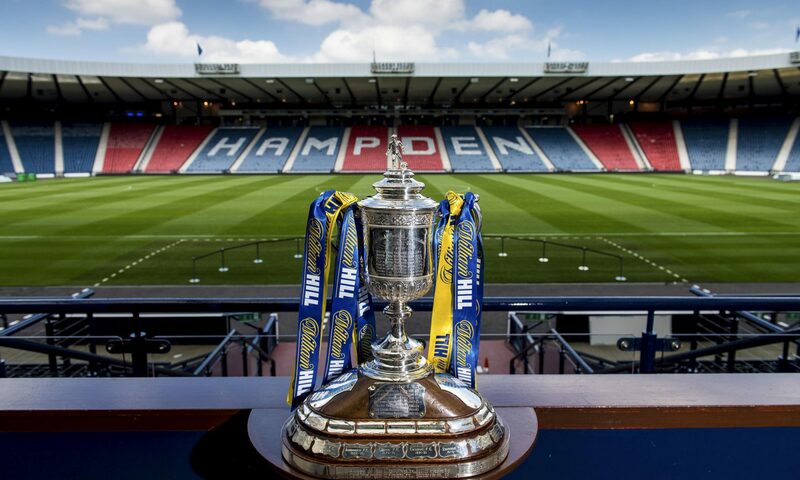 Are there greater powers at work in Scottish football? 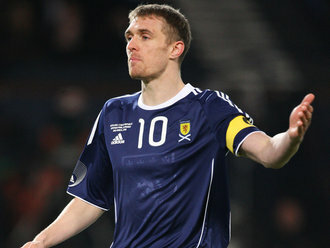 The recent news that Scotland’s talisman and model professional Darren Fletcher has been struck down with a serious stomach bug, forcing him to take some time out of the game, has come at a time when Scotland has already been brought to its knees and is now lying spread-eagle face down on the ground, wondering where it all went wrong. It would seem that the powers that be in that great boardroom in the sky have it in for this founding nation of the “beautiful game”. From fines to unpaid tax bills and wages and bullets to corrupt disciplinary procedures, the visible signs of a downward trend are obvious. Ex-politicians have been brought in to advise, wicket keepers appointed to keep the peace, all to no avail. Now it seems even our captain is the target of some misfortune from on high. But who can blame the footballing gods for striking us down? If football was a religion and not just a direct substitution for one, as some would have us believe, there would be an inquisition and not just another investigation or review. A group of Europeans from Zürich would have landed on our shores, dressed in black robes with the FIFA logos emblazoned on their galeros, marching on all the shrines of football. Promptly they would round up the key instigators within the established rungs of Scottish football and subject them to all manner of interrogation before replacing them with their own cronies. After successive torture methods and years of imprisonment, the inquisitors would gather the followers of football together and proclaim “you are all guilty”. The criminals responsible for perpetrating all of the vile acts against Scottish football in recent times are the collective institution itself. It is clear to see from the issues, controversy and debacle after debacle that all of Scottish football’s problems are self-inflicted. All stakeholders in the Scottish game have a joint responsibly to a greater or lesser degree. The alleged corruption within refereeing was a product of a flawed disciplinary procedure and complacent practices from an old guard of referees and an association unwilling to update its practices. The Rangers vs. Inland Revenue bout stemmed from mismanagement and a belief that Rangers Football Club was an untouchable icon of Scottish society. The actions of a mindless few, who tarnished the game throughout the 2010/11 season, were also a product of the society in which we live, operating at the extreme end of a sliding scale from 90-minute bigotry to serious offences that go far beyond rivalry and banter. In more general terms, the falling attendances and revenues have long been an indicator of an overpriced and unsound product. Countless people speak about how the Old Firm can “charge whatever they like” for a derby ticket. However, surely the converse is true? Supply and demand? Scottish football is currently damaged goods and requires some significant price restructuring to encourage interest. Perhaps there should be a sign outside all stadiums: “broken, in need of repair –entrance half price”. The SFA seem to be powerless to deal with issues in the game and have been overlooked by UEFA in imposing fines on both sides of the Old Firm. These teams play in a league governed by the SFA and should be disciplined for breaches in its code of conduct by the SFA. Instead, the SFA ignore it and UEFA have to intervene, undermining the strength and independence of Scottish football and its governing association. Within the national team there have been several key events. Former captain Barry Ferguson and current favoured goalkeeper Alan McGregor both disgraced themselves with an all-night drinking session at the Cameron House Hotel and subsequently did themselves no favours by reacting and gesturing to the media and, by proxy, the fans. Aiden McGeady was also snatched from beneath the nose of the Scotland youth system. Almost all up and coming Scotland players seem to be destined to veer off of the straight and narrow at some point in their careers. McFadden, O’Conner, Riordan and now Bannan – at what point will young players realise that the reason they are no longer reaching the height of previous Scots is that there are players out there who will outstrip them on every level both personally and professionally. They will train harder, get up earlier, study more, sacrifice more, drink less, cause less trouble and keep constraints on their ego. The players currently waiting in the wings have to realise that this is the “modern game” and success is rewarded only after large amounts of sacrifice. As an all-round product, a day out at the football should inspire us and coax us out of our comfortable living rooms into a passionate theatre of entertainment. The Scottish game has much to offer, but is sadly marred in so many areas that no single change or revamp would yield any significant outcome. The ‘unlucky’ footballing nation of European and indeed International football tag is an unenviable one to bequeath Scotland. From numerous national teams throughout the years being glorious failures in qualifying and at major finals, to Celtic’s hard-fought but ultimately worthless point away to Udinese last night, a common theme is apparent. Perhaps it could be suggested that the rectification of the aforementioned root-cause problems of Scottish football could potentially alleviate the ‘unlucky’ tag in years to come. The only way forward is for the individuals who have watched over Scottish football as it staggered towards its current lowly state to take account of their actions, stand up and move aside for transition to a more modern and fresh thinking approach. The loss of Darren Fletcher does not affect the Scottish the domestic game; it is just another injury to add to insult on the downturn of Scottish football. It is not only a loss for a match squad; it is a loss for the game. Darren Fletcher is a model professional and a teetotaller for a start. He’s a player who young footballers should be inspired by and someone who, if all else fails, Scotland can look to for confidence that one day we will become a strong footballing nation again. We can but hope, on a personal and sporting level, that Darren makes a speedy recovery to regain his position as a leading light in Scottish football at a time of such unmitigated darkness.